We are excited to announce a new event on March 1 in San Francisco - Start-Up Sessions at the Digital MedTech Conference. Early to mid-stage digital health innovators - apply to pitch by Feb 10. 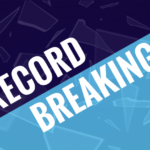 The medtech industry’s global competition and accelerator, calls for emerging companies to apply to the 2017 competition with over $500K in prizes by the Feb. 28 deadline. 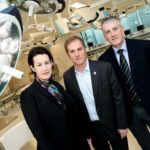 The premiere medical technology start-up competition has just announced they are accepting applications for their next batch of world changing companies. 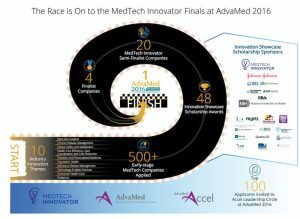 Medgadget had the chance to be present at the last MedTech innovator finals held at AdvaMed in Minneapolis this past October, which was clearly the highlight of the entire conference. 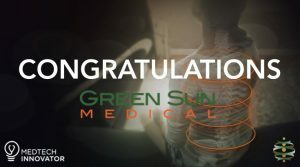 Tables have turned, MedTech Innovator competed and won 2016 SBA Growth Accelerator Fund Competition! 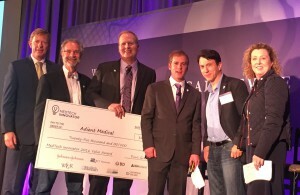 MedTech Innovator, the medtech industry's global competition and virtual accelerator, announced today that Adient Medical is the winner of the global 2016 MedTech Innovator Value Award competition, the first of three awards that will be given this year.